The benefits of Seamless ERP System Integration. 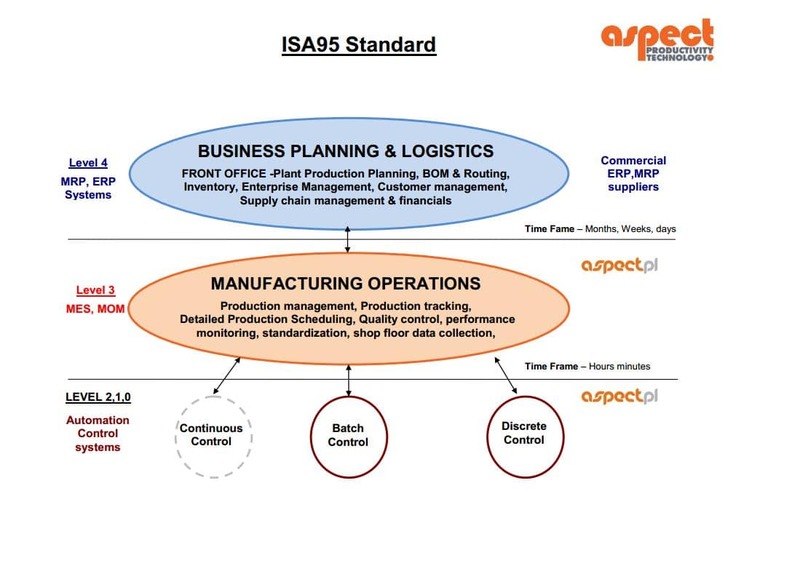 AspectPL integrates with ANY ERP or MRP solution via the ISA-95 data exchange standard utilising configurable import and export “plug-in” technology. Can be integrated with most systems such as SAP, SAP B1, Microsoft AX, Great Plains, NAV, Syteline, Epicor 9, Epicor 10, SysPro, QAD, Attache, Consona, Beacon, Greentree, GEAC/TIMS, Solarsoft mVP, Sage, MYOB, Descom, Distrib and JD Edwards. AspectPL allows for time and or event-based import, along with export utilising XML or CSV data exchange. While in connected mode, AspectPL receives BOMs, Routing and Orders as a slave to the ERP system. While maintaining full version control and history. Two-way data integration efficiently makes the ERP solution live. 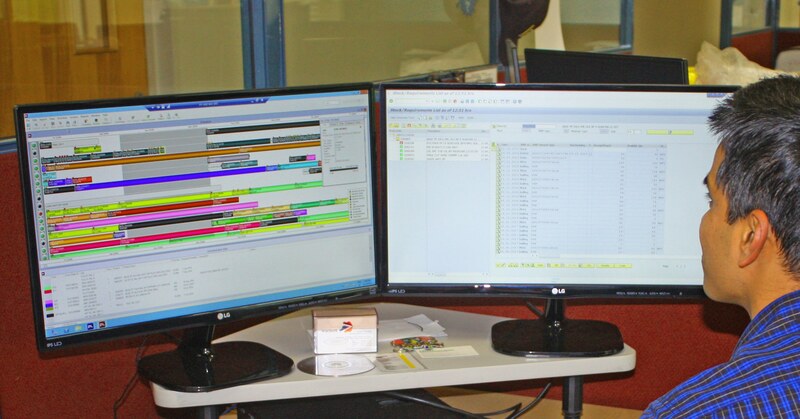 Confirmed production orders are released from the ERP system to AspectPL. AspectPL manages the production process, and reports back work order status, yield, performance and completion dates to the ERP. Returning actual production output enables the option to back-flush materials automatically and improves accuracy on MRP runs. Hence, sales and customers know exactly when their job will be completed. In parallel with the ERP data, shop-floor data specific to machines, tools, products, materials, quality checks, actions and related documents such as SOP’s, CAD drawings and maintenance records may be linked to production to provide a paperless environment. Finally, the combination of the works orders and BOM’s with the actual production data build a traceable environment. As a result, all information is stored against the appropriate production tasks. Therefore, allowing AspectPL to act as the single, central data repository. Please contact us if you have any questions and the team at AspectPT will get back to you.